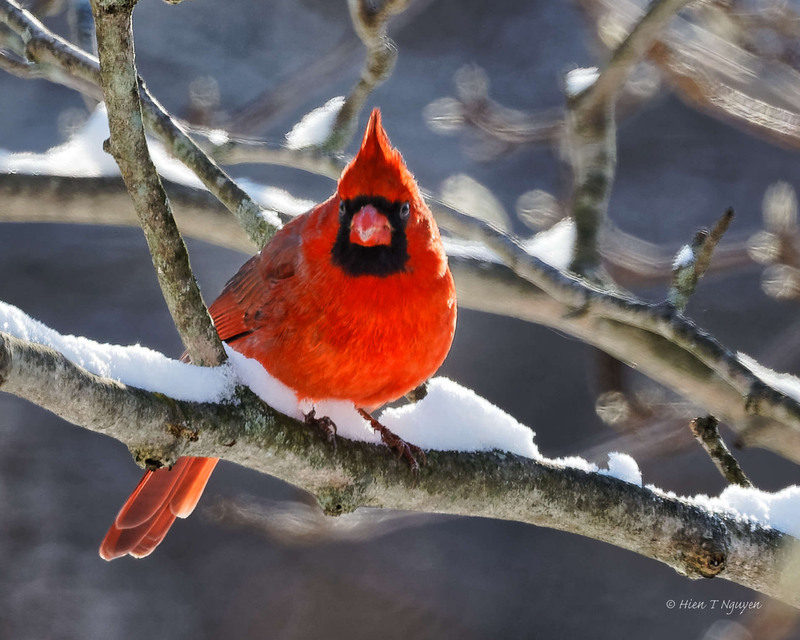 The Northern Cardinal photo is incredibly beautiful,you’re a great bird watcher dear Hien! Marvelous shots, Hien, I love the cardinal! I am fascinated by how they are looking right at you, Hien! ha! Go ahead, Hien….make my day. You are funny. If you continue to post such terrific photos of birds near your feeders, it may force me to consider putting one up somewhere myself! What helps is a small magnolia tree that grows 10 ft away from the feeder. The birds perch there while waiting their turn, or after they bring back a seed and proceed to work on it. I think you should put up a feeder in any case, for those days when the weather prevents you from going out. The cardinal is such a stunning bird. Thanks for sharing these image. Thank you Tim! 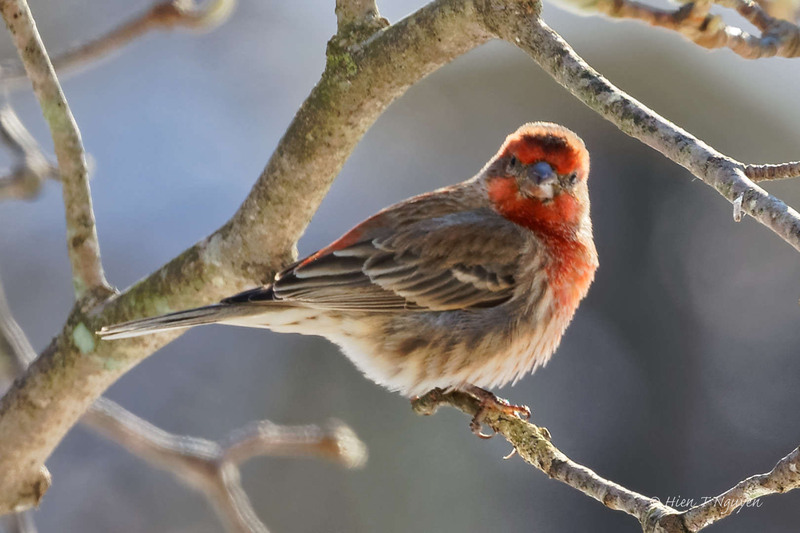 That red bird will draw all eyes to him whenever he appears. He was indeed, with a good backlight from the morning sun. I love how cardinals and black capped chickadees look in the snow. I’ll try to get some pictures of a Chickadee. They are there, but small and fast moving. Yes, they are always zooming! They are in and out of our feeder so fast, it’s hard to catch a shot.